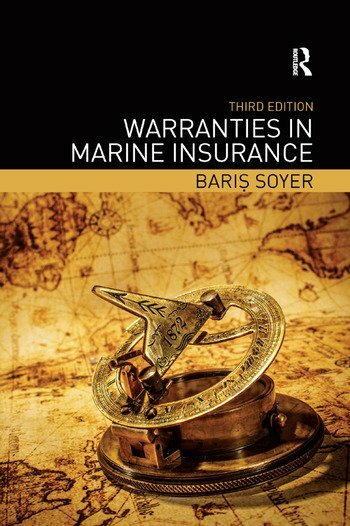 For centuries, warranties have played a significant role in the law of marine insurance and in this book Baris Soyer offers a comprehensive and authoritative examination of warranties in marine insurance. The book sets out the current law on marine insurance warranties as well as exploring the legal remedies available when a marine insurance warranty is breached. The third edition is brought up to date with significant discussion of recent case law including: Kosmar Villa Holidays v. Trustees of Syndicate; Pratt v Aigaion Insurance Co; Argo Systems FZE v. Liberty Insurance (Pte); The Buana Dua, The Princess of the Stars, The Nancy, and Garnat Trading & Shipping (Singapore) Pte Ltd v. Baominh Insurance Corporation with a view to identifying their impact on established legal principles. The third edition also goes on to evaluate the impact of the changes that will be introduced in this area by the Insurance Act 2015. This Act will alter the warranty regime significantly but it is also expected to have an impact on other risk alteration clauses such as condition precedents, suspensory warranties and exclusion clauses. This book is essential reading for postgraduate students and academics in international commercial law and marine insurance law as well as insurers and legal practitioners. 1. Warranties in General 2. Express Warranties 3. Implied Warranty of Seaworthiness 4. Other Implied Warranties 5. Nature of Marine Warranties 6. Waiver of Breach of Marine Warranties 7. Legal Position in Relation to Warranties in Some Other Jurisdictions 8. A Case for Reform? Baris Soyer is Professor of Commercial and Maritime Law at Swansea University, UK and also the Director of the Institute of International Shipping and Trade Law.